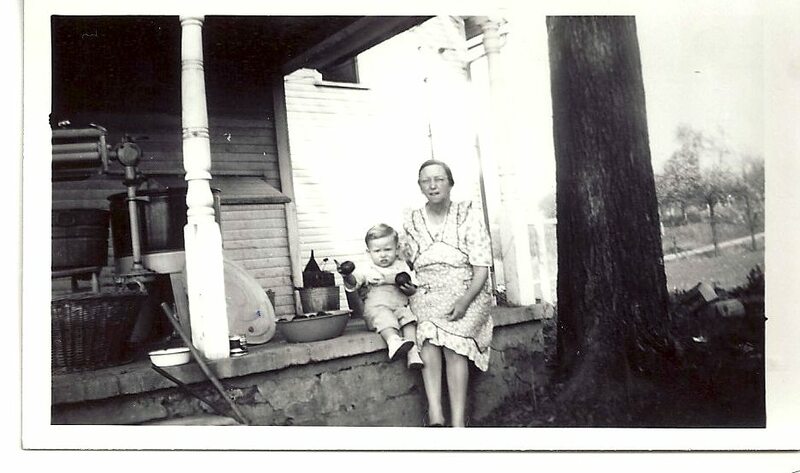 My dad with his grandma on the front porch of the farm house. There are several recipes that my dad will sometimes talk about as being his favorites from childhood: cinnamon rolls, ice box cookies, steam pudding and date filled cookies to name a few. 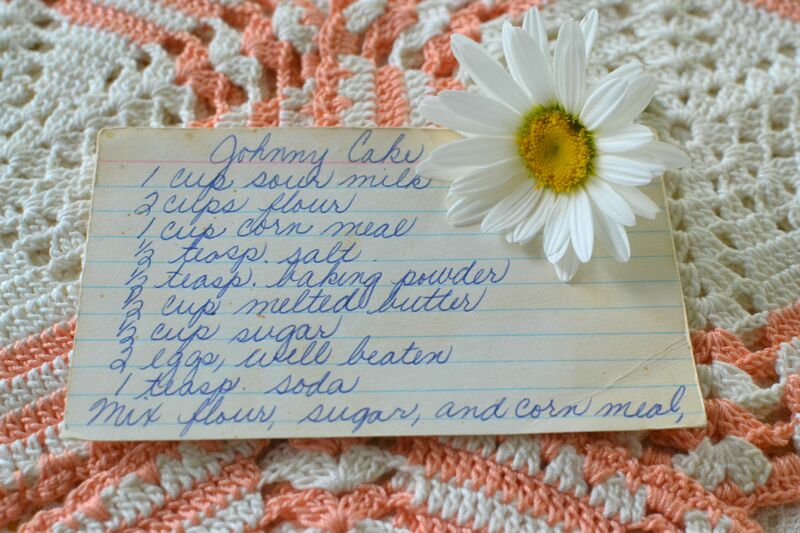 Johnny Cake is another one he will mention. So, when I found the recipe, I thought I should pull it out and try it. 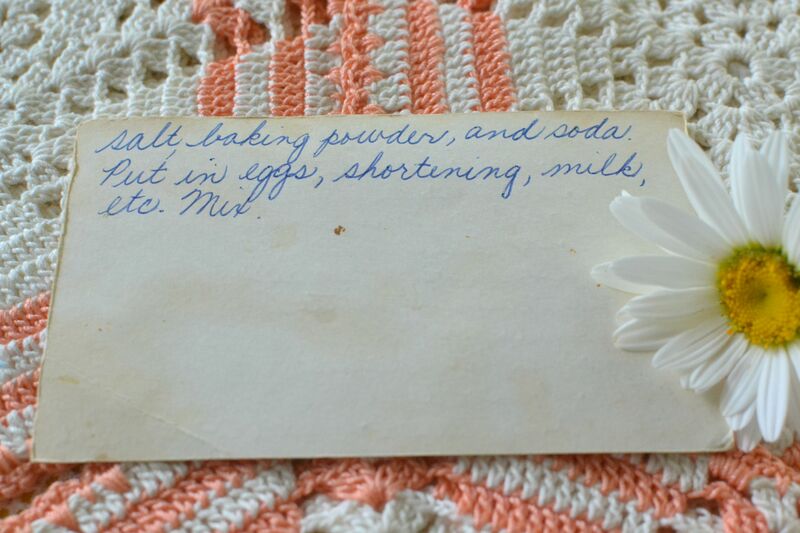 The first recipe I found was typed on a card. It listed ingredients, but had little by way of instructions. The instructions it did have were quite vague (for instance, 3/4 cup flour and corn meal to make a good batter). So, I looked in my mom’s recipe box, and sure enough, she had copied down the recipe. It still didn’t have any baking instructions, but it was more clear in its detail. Mix flour, sugar and corn meal, salt, baking powder and soda. Put in eggs, melted butter, milk, etc. Mix. The recipe was simple to put together. I decided to put it in a greased two quart baking dish. I looked up other recipes for corn bread and saw that they usually baked at about 400 degrees for 20-25 minutes. I followed those directions and the Johnny Cake came out a nice golden brown. Johnny Cake fresh out of the oven. I asked my dad if it tasted like the Johnny Cake he remembered from his childhood and he said it did. Then, to prove his point he ate a large serving. I hope you try it and enjoy it as much as he did. It is a simple side dish to prepare. 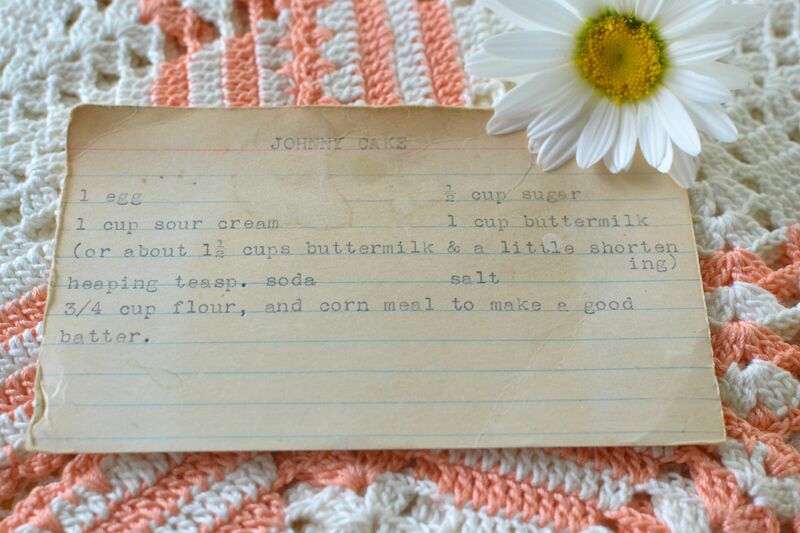 Johnny Cake ready to eat. 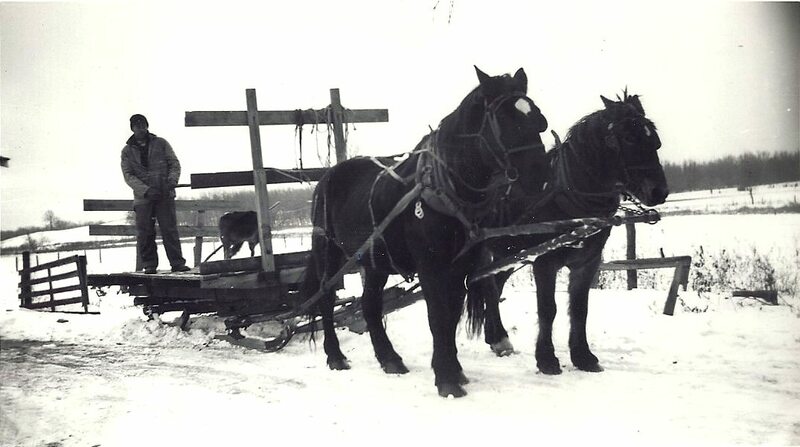 This entry was posted in Breads, Cake and tagged baking, Corn Bread, farm cooking, grandma's cooking, homemade, scratch cooking by GrandmothersRecipeBox. Bookmark the permalink.